A contestant draws three questions, selects one, and prepares a speech in 30 minutes. The speaker utilizes files of published materials (books, magazines, newspapers, online sources) s/he has researched throughout the year. Then the contestant speaks up to 7 minutes on a given topic – either on a topic of 1) U.S. domestic issues or 2) International issues. 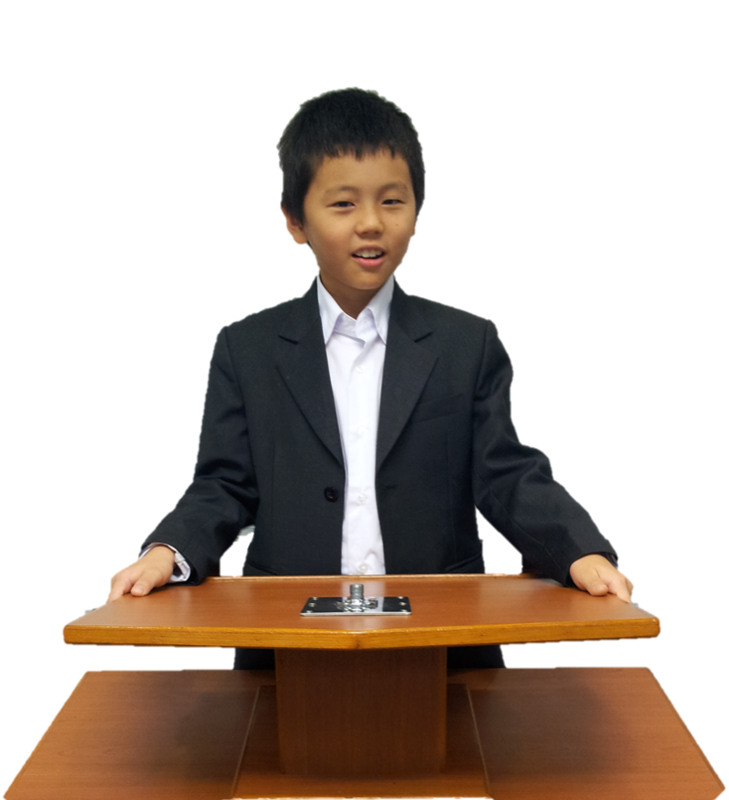 The extemporaneous speaking trains the students to use one of the most effective modes of presentation. Because not enough time is given to write exact script, 1) the speaker must deliver it in a conversational manner – maintaining eye contact and interacting with the audience and 2) must be open to any feedback, such as a confused look of an audience. However, a concise note can be used during the presentation. Learn to deliver extemporaneous speeches in public. Click Here To Register Online Before You Pay To Save a Spot.